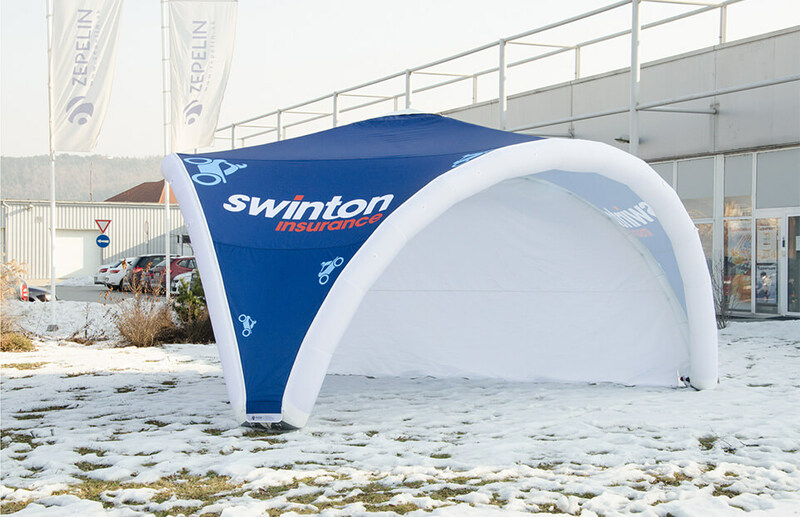 CONCEPT – AXION Tripod is a great concept for both indoor and outdoor events as an inflatable podium cover, promotional tent or as a stylish sun shade. 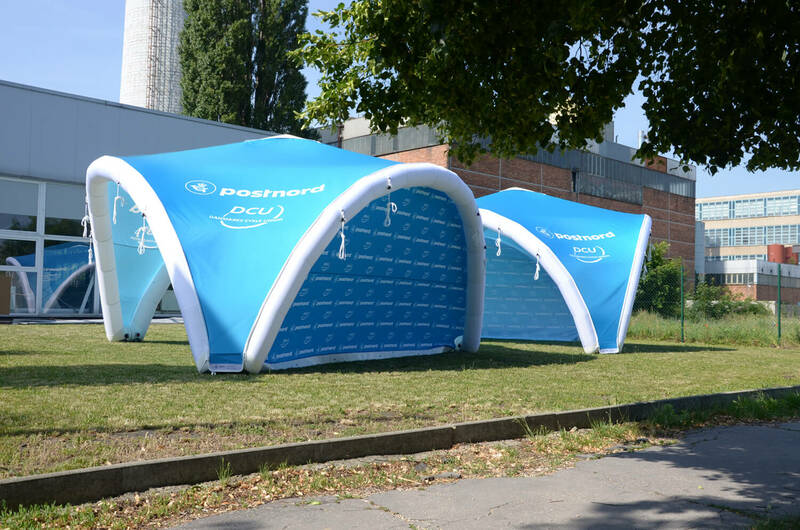 A zip-off roof and side walls can be sublimation printed. 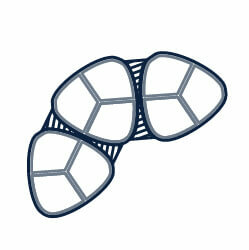 Enjoy it’s innovative shape and airy design. 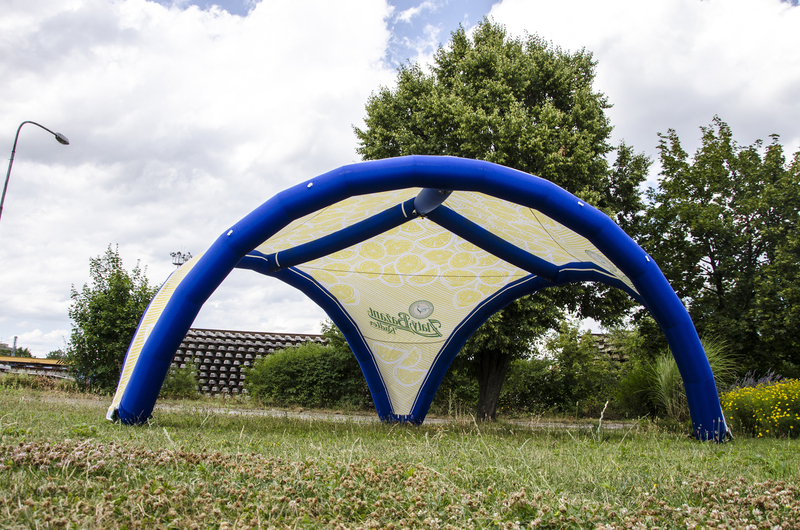 COVER AREA – The canopy of tripod shade is made of water resistant fabric, so there is no need to add the water proof layer in case of rain. 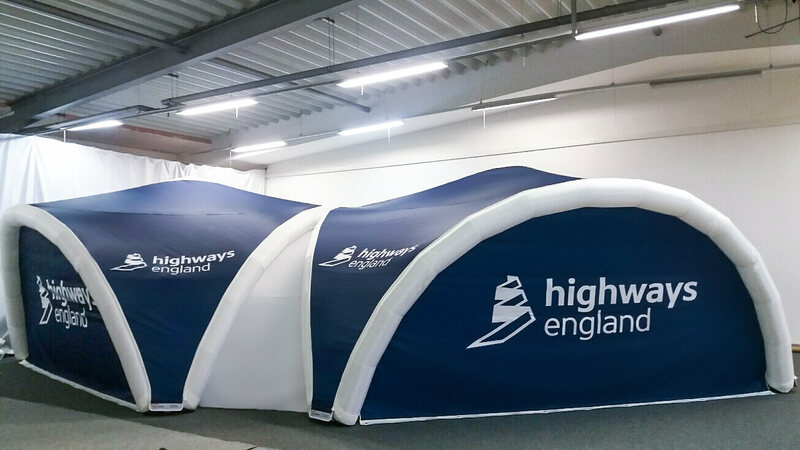 Thanks to the negative sloped side walls, the efficient usage area is much larger. 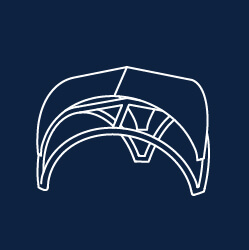 There is no need to use additional visors, as the internal space is unaffected by rain or sun. 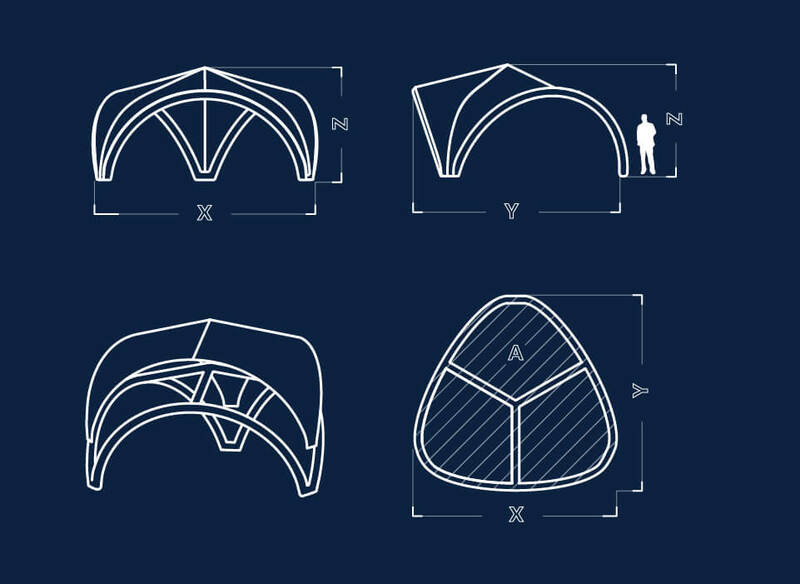 More over, it is possible to connect more TRIPODs by tunnels to create an extraordinary tent village. 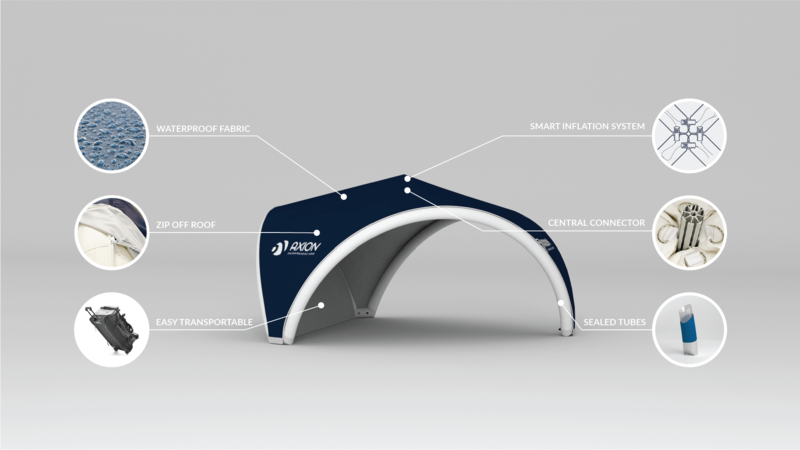 HANDLING – As with our other AXION pneumatic tents, handling is very easy. The TRIPOD is packed into a trolley bag and is easily transportable in any personal car. 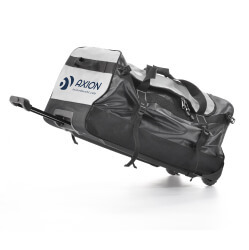 Just one person can transport and inflate it within minutes by one valve using patented AXION smart inflation system. 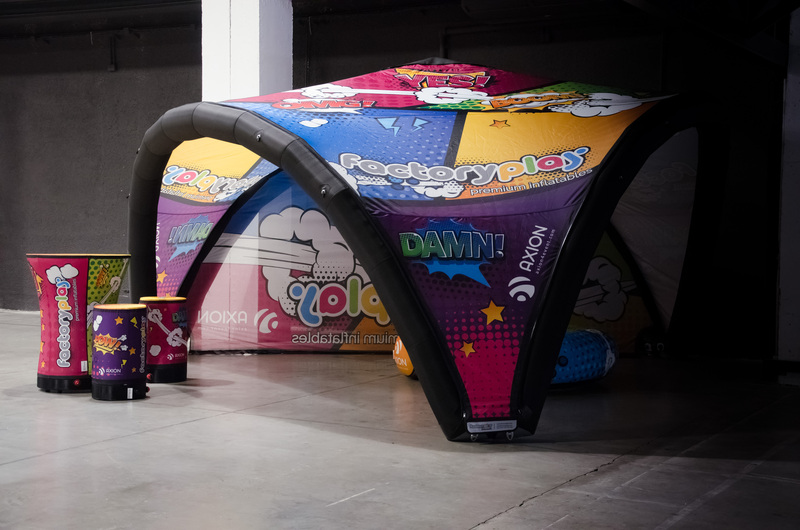 SERVICE – Thanks to the zip-off roof and the central tube connector, any user can change the inner bladder or whole inflatable arch onsite within a few minutes without having to send the tent out for service!